The author in his old lucky hat, waiting for it to work its magic. Do I have a lucky fishing hat? I’ll only answer that question if you answer it first. It’s a delicate thing to admit to superstitions when we should be working on our double haul or stealth-emerger tactics. But let’s just say I did have a lucky hat. It was slate blue and performed many years of trusty service. I wouldn’t say it ensured successful outcomes, but it was on the endearing side of serviceable. Like an accountant who may not be a genius, but you’ve gone this far together and can’t be bothered to change. This hypothetical story gets more complicated. I was in the Lamar Valley in Yellowstone National Park, my favorite place in America. But it was a horrid day. I hiked over to the Lamar River, but there had been a bear sighting in the area, so the river access was shut. I went upstream, but the water was high and off color. I persevered, which is what good anglers do, right? But when does it cross into foolishness? That question takes a lifetime to answer. I tried big stimulators. I tried nymph rigs. Nothing. I couldn’t climb a muddy hill in my wading boots. It was a disaster, and the hat was not helping. I walked back through the park, trying to keep my perspective. In that part of the park, you can leave your car near Soda Butte Creek, a very popular place to fish. Because of the bad weather, it was absolutely empty, just as the rain let up. Conditions were perfect, and fish were rising everywhere. It was on. I was laughing at this unexpected possibility at redemption. The creek was charged with life, I landed a few lovely cutthroats, and I felt a reprieve as I returned to my car. That night, drinking bad beer in Gardiner, I realized I had left the hat back on the bank. I’m embarrassed to say that, the next day, I drove 45 minutes two ways to try to find it, as if it wouldn’t have moved in one of the a famously windy valley. I’m not sure what possessed me, perhaps some misguided sense of symmetry, which often takes over my mind when I fish. (Like if it starts to snow, then things must be so crazy I’ll catch a salmon—which didn’t happen.) In this case, the hat was gone. I tried to dismiss its power. It was just a hat. I looked on eBay, and there were none left. I decided I didn’t love it that much anyway. The bill was crooked, the color was faded—realizing these are all classic tropes of the spurned lover. I settled on a new hat, which I claimed to love. When I was getting skunked the first time I wore it, I didn’t love it as much. And when I still hadn’t caught a fish halfway through the following day, I was in a state of extreme anxiety, like a child who’s coming to term with the unreality of a cherished childhood myth. No Santa Claus. No lucky hat. I think I had to acknowledge its power before I could move on. Things evened out the way they do. And cosmic forces seemed to fade into the distance. I focused on what was in front of me. We look for meaning when we can’t explain why fishing humbles us. Why do we deserve this reversal of fortune? I’ve moved through a variety of hats and settled on one from Coop’s Bait and Tackle, the legendary outfitter in Martha’s Vineyard. Green, waxed cotton, with a striped bass on the front. It’s been a good relationship. Recently I was separated from this hat in the airport. I couldn’t remember if I had left it in the taxi, but it wasn’t in my bag and it wasn’t at security. It was a catastrophe. I was about to head to my flight when, on its own, the hat arrived in a plastic tray through the X-ray machine. Joy! It was meant to be. The gods smiled upon me. Yes, this hat is the chosen one. Yes, it brings me luck. I have no doubt—none at all—that next time I’m on the water will be a very good day. David Coggins is the author of Men and Manners and the New York Times best-selling Men and Style. 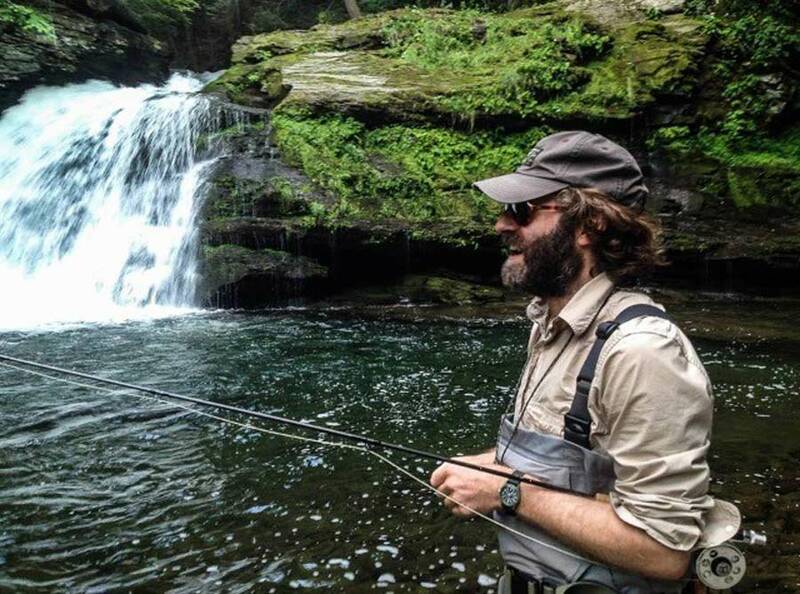 He has written about travel, fly fishing, design, and drinking for numerous publications, including Esquire, Robb Report, the Financial Times, and Bloomberg Pursuits. He lives in New York. Check him out on Twitter and Instagram. Nothing is more annoying to me and the damned fits all hat. Now into my eighth decade and remember when you cold get a hat by size that fit perfect. Last one I could buy was 25 years ago art Beans. Bought two and wore both out. So trying to replace them is impossible. I wonder when the era of the fits all pants, shoes and whatever will happen. I sure miss the old days. Through rain and snow, sun and sleet you have always been with me and often protected me. Countless moments of triumph and crushing defeats. From screaming reels to bum deals. You never judged me, or the company I kept, you sat silently with me through countless sunrises and sun sets often in the same day. You witnessed morning fog roll through canyon walls, through the trees and have seen how beautifully the mist hovers over the water on chilly fall mornings. I remember when we got there it was just before sun rise. Remember how the water went from black to red, gold, than silver in the morning sun? At that exact moment everything was right in the world, at that exact moment in time we were exactly where the universe wanted us to be. And most importantly. You never spoiled the moment. You just sat there quietly enjoying and taking it all in. Spring, summer, autumn, and winter. You never cared, you were always willing to go. You were with me as I figured out who I am as a person, made tough decisions and life changes. Never judging. Remember the time you fell in and I went in after you? I was hypothermic before I made it back to the car. I’m so glad I was able to pull you out. I would do it again in a heart beat, even though it cost me a $300 pair of waders. You were always willing to travel with me. From The Beaverkill to Beaver Creek Colorado. You never gave two shits about the cost of a plain ticket, travel schedules, getting time off of work, or argued about gas money. You were just happy to be on the trip. Steelhead, rainbows, Browns, and Brookies. Bass, pike, Sunnys, and Gills. Even Suckers, carp, and creek chub. You were there for all of them. The stories! Oh the stories you could tell. A steelhead trip in a blizzard to that last Sunday on Heck’s Hole. I remember the time when I had to be home by 7:00 and we said we had time for one last cast? Three hours later and I was getting reamed out by The Old Lady. So now the time has come. It’s not that your “to old” to make the trips. In fact I think you are in your prime. I don’t give two shits about how warn down you look, the thousands of pin prick holes I put in you, I don’t care that you’re a little lumpy now where you shouldn’t be, it’s not that you once were brown and now your olive green. I respect you. I don’t want to lose you! There’s too many memories too many good times. I want to put you in a place of honor and smile every time I look at you. Because when I do, it takes me back to all those wonderful images and memories, and times spent with friends that we experience together. You were the greatest flyfishing hat a man can ask for. I don’t have a lucky hat. I’ll pick one for the day. If I get skunked the hat goes to the back of the line. Next trip, I’ll use another. Skunked again, it goes to the back of the line. You get the picture. If I catch a fish the hat gets another chance very next outing. If not, to the back of the line it goes. 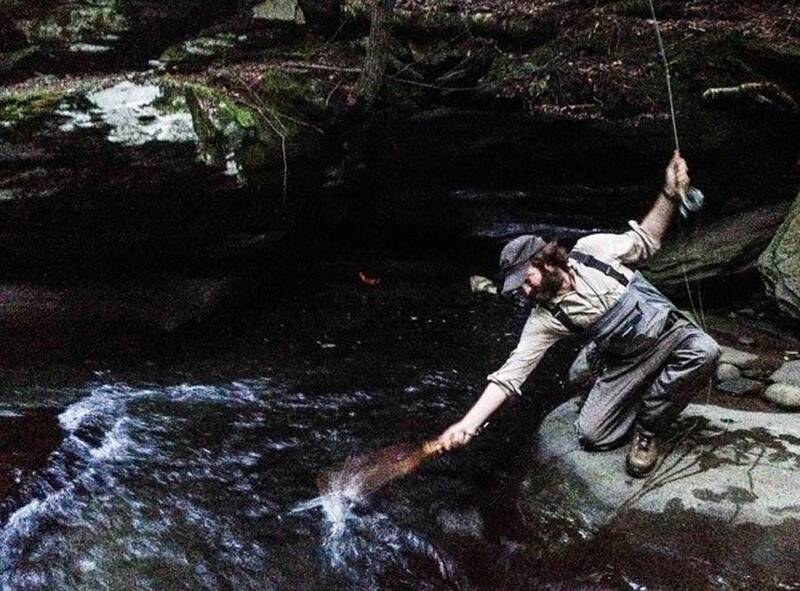 From October to April I chase northeast Ohio steelhead. A lot of hat rotation going on at that time of the year. I don’t have a lucky hat. Truth be told, I probably have too many hats. For a while when I would visit a fly shop, while on vacation, I would buy a hat. Stopped after I realized that I have more than I need.